In Book Creator 4.0, we added comic styles and templates to Book Creator. You can add panels, stickers, fun backgrounds and comic text using these new styles. Some of the comic styles (for example comic text and speech bubbles) can be found in the standard Book Creator options. But if you want the full set of comic styles, you need to open up a comic template. NOTE: Comic templates are only available in the full version of Book Creator, not the free version. Swipe down and choose one of the comic template layouts. Now, when you tap the + button in the toolbar, you get a new menu set for comic styles: Panels, Speech, Thought, Add Text and Stickers. First, add a panel layout. There'll be a slightly different set depending on which page orientation you chose. Once a panel layout is added, you can add an image to it by tapping on the photo icon (to add an image from your iPad library) or the camera icon (to take a picture with your iPad). Tap the Inspector (i) in the toolbar and make sure you're on the Page tab to add a comic style background. 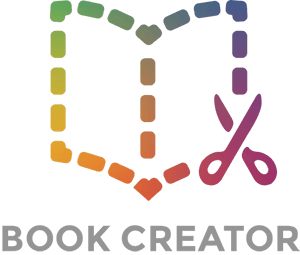 Tap More to access all the original backgrounds in Book Creator. When you add a speech or thought bubble, you can type directly into it. If you want to change the look of the bubble, tap the Inspector when the bubble is highlighted. When you tap Add Text you'll see a selection of pre-styled texts. To edit the text, simply tap the Inspector. Choose from our pre-designed stickers or select a blank one and add your text over the top of it. You can still add audio and video to your comic books. Tap the + button and switch to the Media tab at the bottom of the menu. >> How can we use comics in the classroom? >> Comic book competition – here are the finalists!